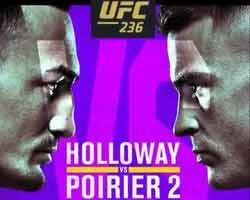 Review: 2014-09-27, some good single shots between Dustin Poirier and Conor McGregor but it is not enough to get three stars (UFC Performance of the Night). Dustin Poirier entered this fight with a mma record of 16-3-0 (81% finishing rate) and he is ranked as the No.10 featherweight in the world; he suffered his last defeat in his first fight of 2013, against Cub Swanson (=Swanson vs Poirier) but then he won three consecutive bouts, the last one in 2014 against Akira Corassani (=Poirier vs Corassani). His opponent, Conor McGregor, has an official record of 15-2-0 (93% finishing rate) and he entered as the No.16 in the same weight class, he suffered his last defeat in 2010 when he faced Joseph Duffy at Cage Warriors Fighting Championship 39, since then he has won 11 consecutive fights, the last one against Diego Brandao (=McGregor vs Brandao). 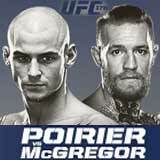 Poirier vs McGregor is on the undercard of Demetrious Johnson vs Chris Cariaso – UFC 178. Watch the video and rate this fight!